Our next Career Fair will be held on November 14, 2019. Thank you to all the industry partners and employers who attended the spring Illuminate the Knight Rosen College Career Fair on March 7, 2019. More than 1,000 students met with 95 employers Take a look at some photos from the event in the Facebook Album! Thank you to everyone who participated in the November 8, 2018, Fall Rosen College Career Fair. More than 800 students attended to meet with 95 employers. Photos from the Fall Rosen College Career Fair held on November 8, 2018, may be found HERE! There is a NEW CAREER FAIR PLUS APP. 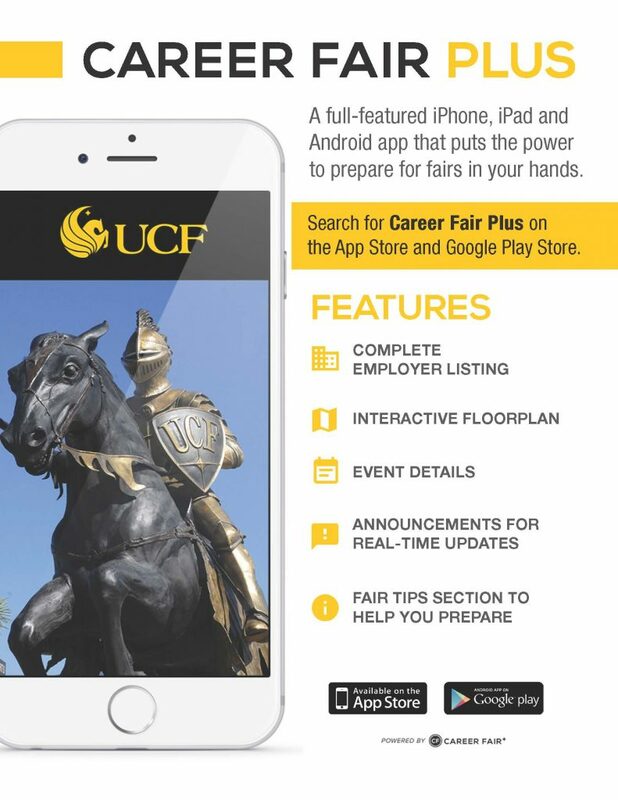 Please uninstall the old Career Fair Plus App and download the new one for use at Career Fair Spring 2019. Once downloaded, search for UCF and install. Rosen College is proud to partner with employers and organizations to prepare the future leaders of the hospitality industry. Please take a moment to review the various ways we can work together and connect you with our outstanding students. Rosen College students have partnered with wheelchairjimmy.com to document handicapped accessible hospitality and tourism venues in Central Florida. Take a look at their work. If you are an employer and would like to post positions for UCF Rosen College students, please use our new system Handshake to do so. Handshake – a modern platform for college recruiting. Handshake is our interactive database that allows employers to connect with UCF students and alumni. You can post your full-time and/or part time positions. 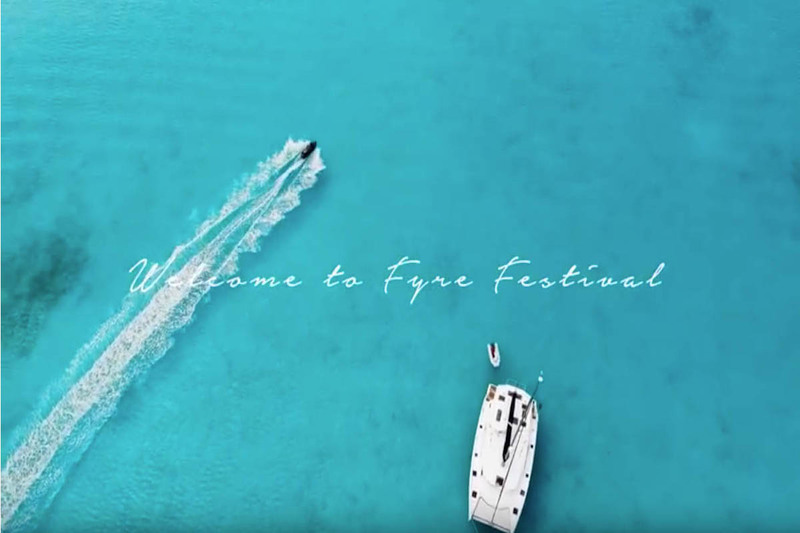 We ask that you create an account in our new system! Signing up is easy and takes less than 5 minutes. Review and accept or decline our terms and conditions. Click this link. This will automatically generate an approval connection request for us! Log into Handshake or click Sign up for an Account. Want more information or guidance on the system? Visit Handshake’s Employer Site. Once positions are posted, Career Services advertises them to students, graduates, and alumni through a weekly newsletter. Employers are able to reach Rosen College students with internship-eligible positions by submitting an internship opportunity by clicking HERE. Please note that all internship eligible positions must offer a Minimum of 256 hours per semester of hospitality experience to our students while compensating the student intern at least $8.05/hour. Please do not hesitate to contact Gisele Canova, Jessica Wickey or David Wixted with any questions. 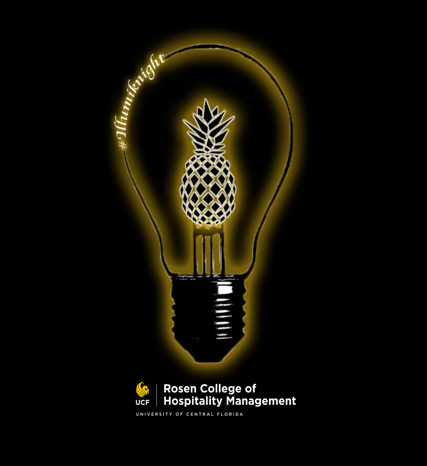 The UCF Rosen College of Hospitality Management hosts two hospitality specific career fairs each year, in the fall and spring. Our next Career Fair will be in November 14, 2019. 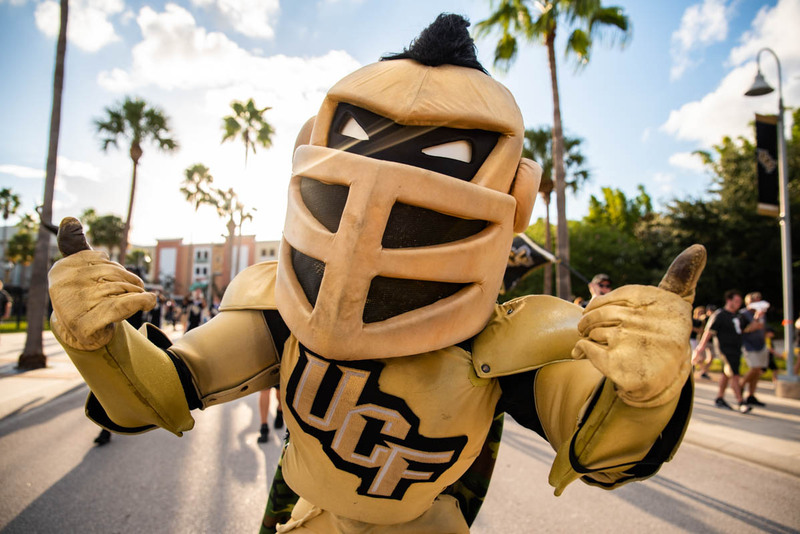 If you would like to sign up to receive announcements regarding the career fairs and updates from UCF Rosen College please click here. For more information about Career Services, please contact Allison Bryant, Administrative Assistant to Lynn Hansen, Executive Director, UCF Career Services at allison.bryant@ucf.edu or call 408.823.6405. 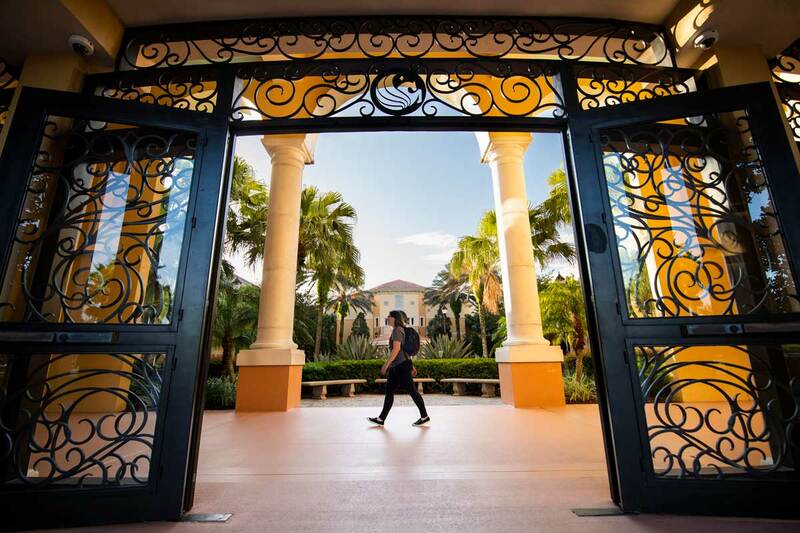 Are you looking to recruit at Rosen College? We allow hospitality employer partners to hold recruitment tables in the Rosen College Courtyard throughout each academic semester, depending on availability. To schedule a recruitment table, please request through Handshake. Once you log into your Handshake account , please go to Events, then request an “Employer on Site” and select your preferred date(s). Once requested, we will approve request based upon availability. Additional information about Handshake, including how to set up an account, can be found at http://csel.ucf.edu/employer-faq/ . For additional questions or information, please call 407.903.8077. Would you like to learn more about supporting hospitality management education through scholarships or academic initiatives? Click here for more information or contact Danielle Orchard, Director of Development, at danielle.orchard@ucf.edu or 407.903.8249.